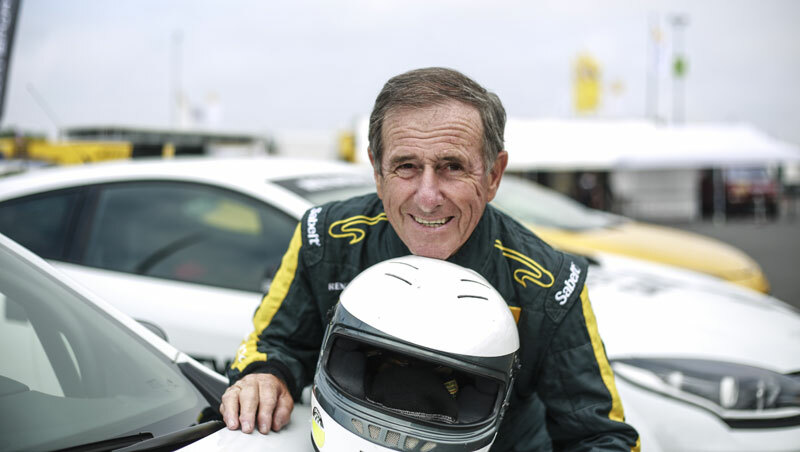 Born on August 29,1945, Jean Ragnotti developed a passion for motorsports at an early age, making his mark with his celebrated driving style. 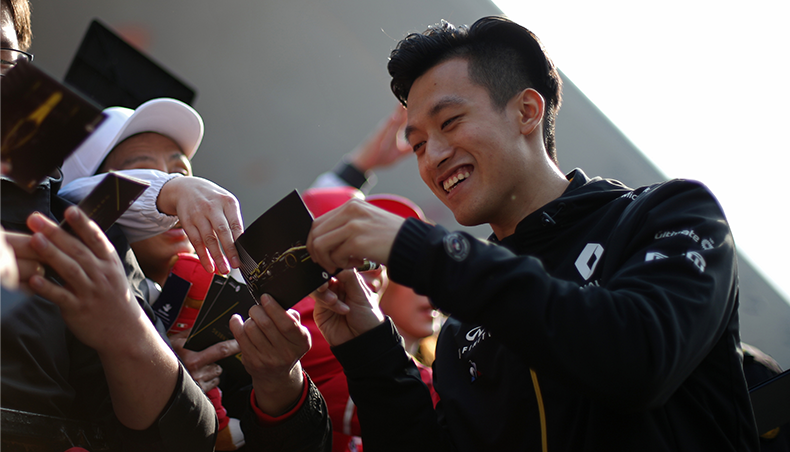 Before becoming a skilled and experienced driver, he set out to prove his ability. 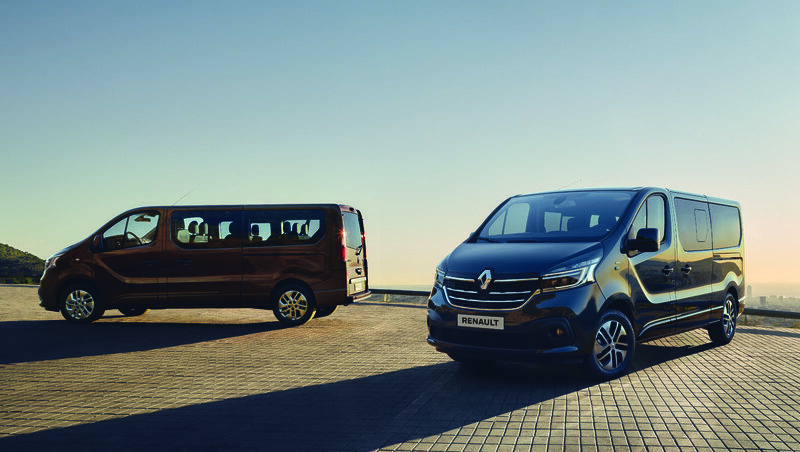 At the age of 6, he began driving the family Renault Juvaquatre with his father. On passing his driving license at the age of 18, he became a truck driver, saving his wages to buy “the” sports saloon of the moment: a Renault 8 Gordini, which he picked up directly from the plant. Transformed by the “Wizard”, Renault’s rear-engined saloon became Ragnotti’s first racing car. In October 1967, when he was just 22, Jean Ragnotti made his motorsports debut in south-eastern France. First race, first success! At the Istres rally, Jean beat off strong competition to finish third overall and, more particularly, first in class. A legend was born! Building on this promising start, Jean Ragnotti went on to take part in other events, including the Renault 8 Gordini Cup in 1968. The victories racked up crescendo from one season to the next and, in 1971, Ragnotti turned professional. Ragnotti’s driving style was noticed by stunt manager Rémy Julienne, who hired him as stuntman in a number of films shot between 1974 and 1981 in Italy, France and Spain. The job involved doubling for Alain Delon and Jean-Paul Belmondo. After this, Ragnotti decided to stop the stunt work in order to focus on racing. At the end of the 1990s, Luc Besson called on his high-precision driving skills once more to lead the cars in the “Taxi” saga. In 1977, Ragnotti reached a new high in his career: honouring his contract as official driver for Renault, he claimed the title of French Rallycross champion at the wheel of an Alpine A310 V6, winning every leg in the championship! The following year, he competed in the 24 Hours of Le Mans event at the wheel of a Renault-Alpine A442 Turbo with Guy Fréquelin, Jean-Pierre Jabouille and José Dolhem. Together, they took fourth place. Jean competed again in 1979 with Bernard Darniche, finishing fifth overall and first in Group 6. He also turned in a strong performance in the Super Touring Championship, winning the title in 1988 at the wheel of a Renault 21 Turbo 4X4. 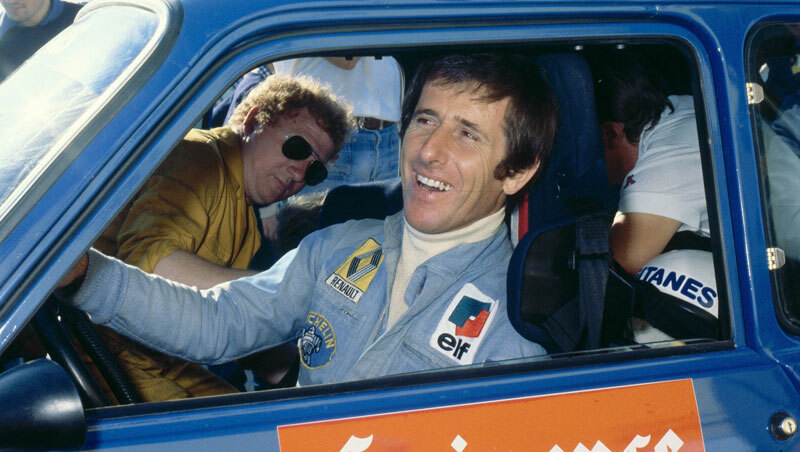 Although he was an excellent track driver, Jean Ragnotti much preferred rally racing. He had a strong following among the public, who loved watching his controlled skids. His skills were reflected in surnames, including “the Acrobat” or “Negotiator of Corners”. At the wheel of his pocket rockets, he claimed two French Rally Championship titles: in 1980 with the Renault 5 Alpine and 5 Turbo, and in 1984 just with the Renault 5 Turbo. 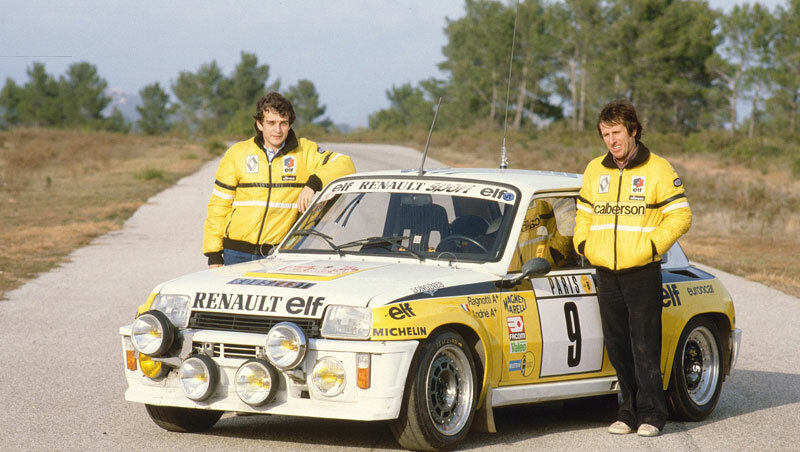 During his 23 years in motorsports, of which 20 with Renault, Jean Ragnotti took part in 43 legs of the World Rally Championship. 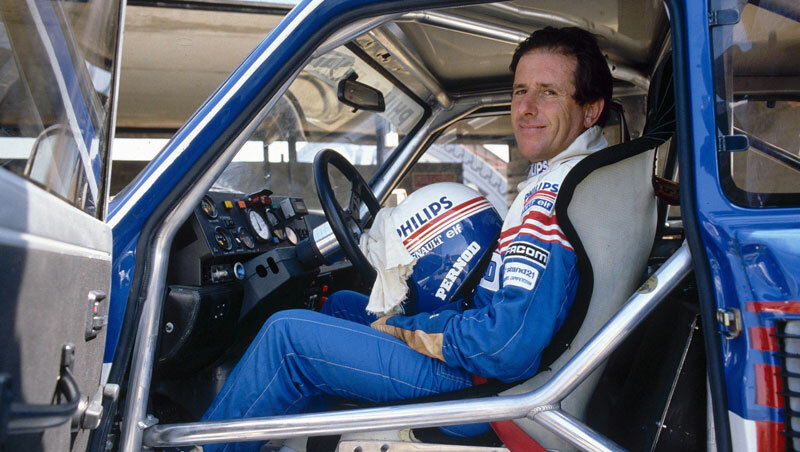 He won the Monte-Carlo Rally in 1981 and the Tour de Corse twice in 1982 and 1985. He also made a strong showing in the Côte d’Ivoire Rally, the Acropolis Rally in Greece, and on the roads of the Sanremo Rally. Jean Ragnotti also set his name in stone in the French Rally Championship, with two national titles and four in the 2-wheel drive category. 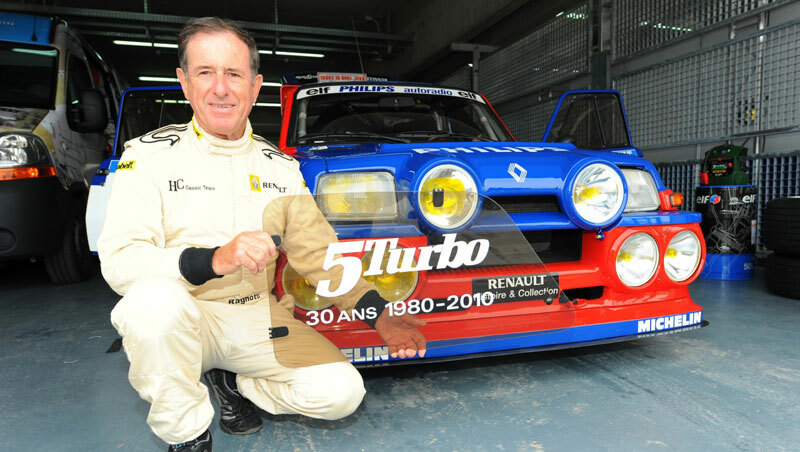 “Jeannot” enjoyed an exceptionally long career in rally racing: at the age of 50 in 1995, he was still able to take 8th place in the championship with the Renault Clio Maxi! The previous year saw him claim his last 2-wheel drive title with the Renault Clio Group A. The 1996 season was his last. Wearying of motorsport competitions, he decided to end his career. Two seasons later, Renault Compétition asked Ragnotti to drive the new Renault 12 Gordini in the Monte-Carlo Rally. It was his first contract with the brand. He competed in Formula 3 (1973) and Sport Proto (1974) events, before moving on to the Formula Renault Europe event in 1975, where he finished second in the Championship. 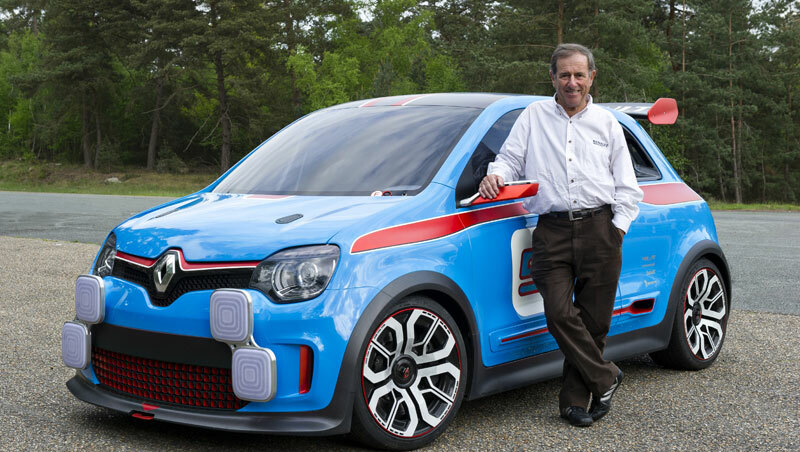 He also drove for Alpine, taking the wheel of the Alpine A110 and A310 respectively in the Tour de la Réunion and Tour de Corse events in Group 4. 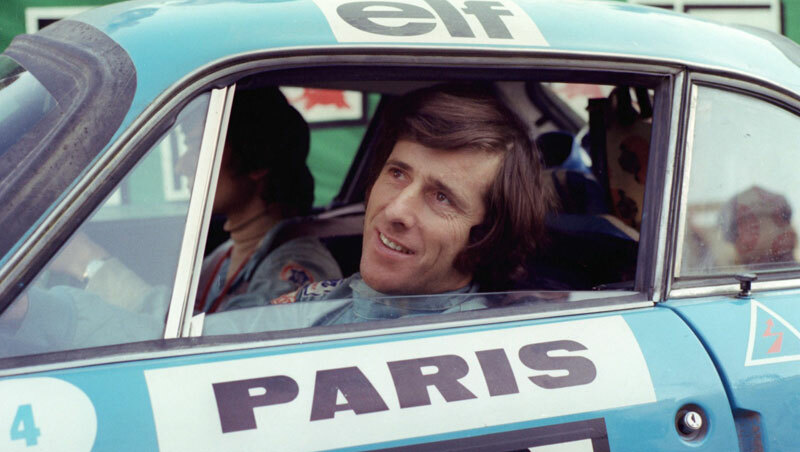 Alongside his racing career, he became a contributor for “Echappement” magazine in 1973, and he also penned the “Journal de Ragnotti”, a personal log included with the monthly publication. 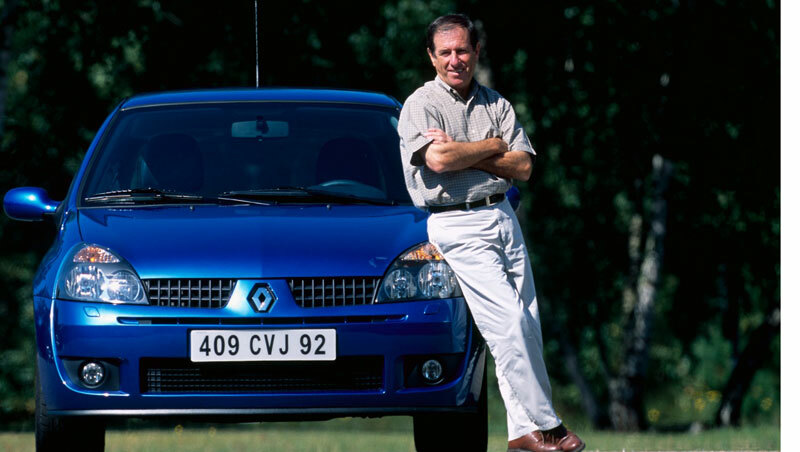 Although Jean left competition, he remained loyal to Renault. 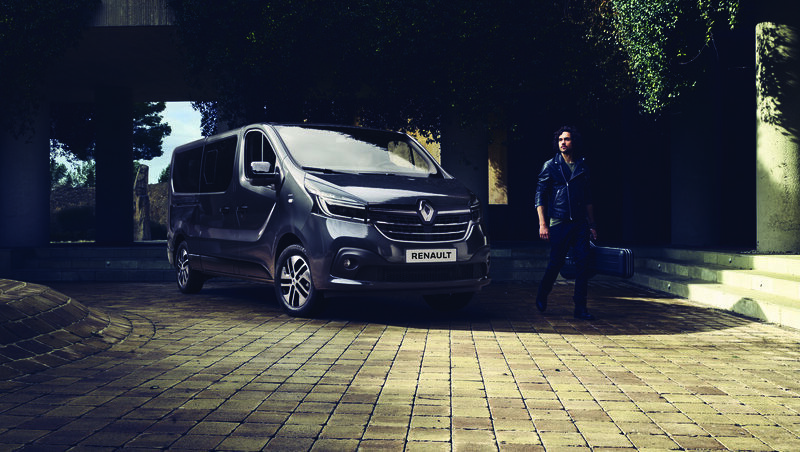 The brand paid tribute to his talent in 2002 with a special series of the Renault Clio R.S. 2.0 L. Giving free rein to his talents as a showman, Ragnotti continues to take part in Renault motorsport events such as the celebrated World Series by Renault (WSR). His skilled demonstrations show that his fabulous driving skills remain intact, particularly in the bucket seat of the Renault 5 Maxi Turbo from 2004. In 2013, the brand asked him to drive a Renault 5 Turbo round the track at Monaco, coinciding with the press reveal of TwinRun, its distant descendant. 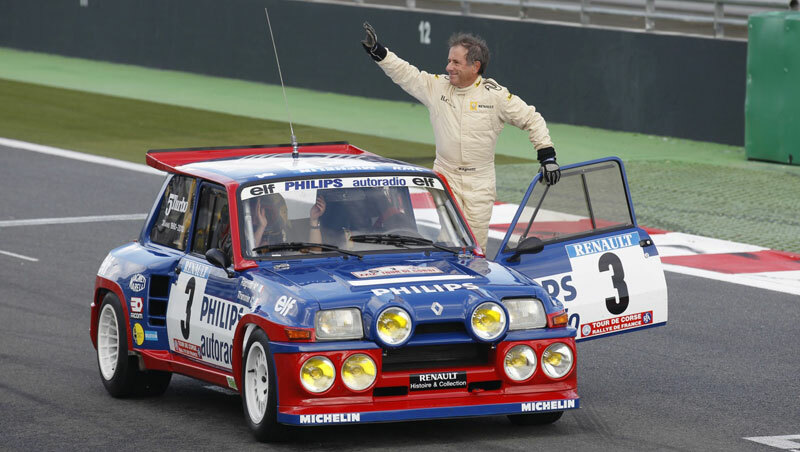 A lead car driver in many rallies, Jean Ragnotti still competes in the Historic class. He has won the La Rochelle Autumn Rally three times (2007, 2009 and 2012) and also claimed victory in the Critérium des Cévennes in 2013, at the wheel of an Alpine-Renault A110 1800 Group 4. A rally driver through and through, and an all-round, eclectic driver with eight championship titles in various categories, Jean Ragnotti has made his mark on both tarmac and gravel in a wide range of racing, rally, rally-raid and rallycross events. He has driven everything ̶ rear-wheel drives, front-wheel drives, one-seaters, and rally cars ̶ always with the greatest of ease: “Whatever the model I’m driving, I can deliver the goods after just a few laps!” Ragnotti showed his adaptability once again in 2015, at the WSR organized at the Le Mans track, where he revealed the new Renault Mégane GT to the general public. Close to the public, Ragnotti is always ready to sign autographs, even in the last few seconds before a special: “I’m an easygoing person. I’ve always enjoyed a joke. Never really felt the pressure. 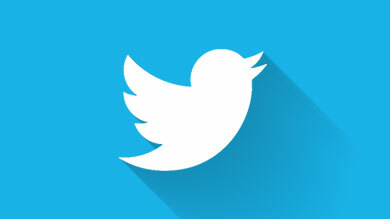 That said, when the countdown starts, I’m fully focused”. 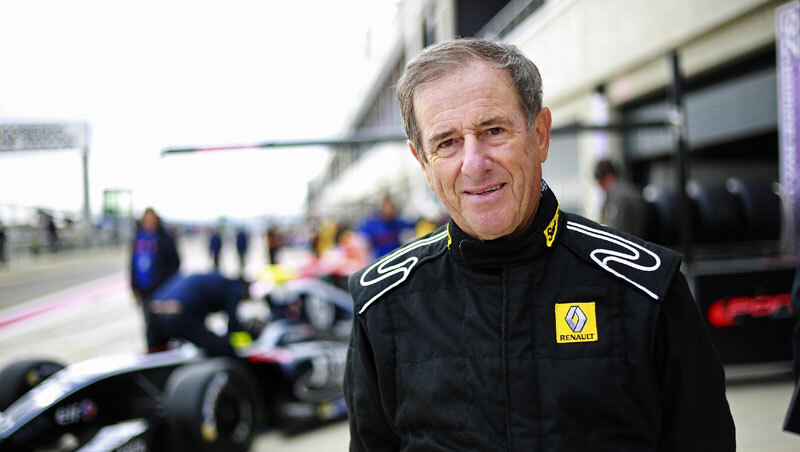 Through his exceptional career and his popularity, Jeannot embodies with talent and panache Renault’s passion for motorsports.